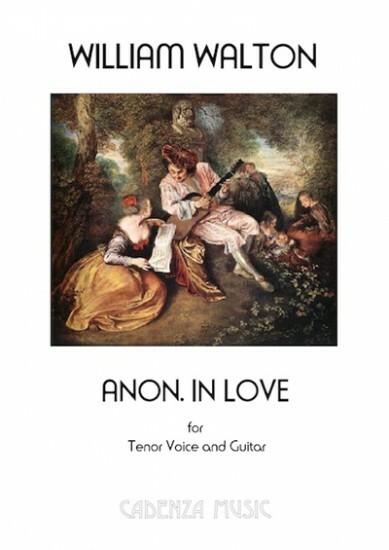 Written in 1961 for Julian Bream and Peter Pears, these six songs on anonymous medieval poems show Walton at his typically exuberant and humorous best. A classic of the repertoire for voice and guitar. The poems in this cycle have been chosen by Christopher Hassall, and the versions used are taken from The English Galaxy of Shorter Poems (edited by Gerald Bullett, and published by J.M. Dent & Sons Ltd. in the Everyman's Library). The guitar part has been edited by Julian Bream. I am sorry we do not and we no longer can get publications form Cadenza. Sorry.